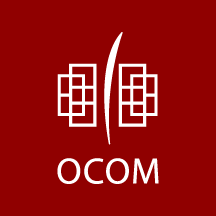 As the #1 school of acupuncture in the country, OCOM offers not just a master’s program, but also a highly regarded Doctor of Acupuncture and Oriental Medicine degree (DAOM). The program is delivered in a modular format, during which students meet over a long weekend each month, allowing students to practice while simultaneously completing their doctorate. Some students attend the doctoral program after years of clinical work, while some come straight through from their master’s studies. Those who choose OCOM's accelerated three-year track and go straight through can complete both degrees in five years. It’s a challenging path, and not for everyone, so we asked three OCOM grads who have taken the five-year path to their doctoral degree — Andrew Vu (AV), Colin Gold (CG), and Cissey Ye (CY) — to talk about their experiences. Did you plan from the beginning to go straight through OCOM's master's program to the DAOM program? CY - I did not originally plan to go straight through both programs, but by the time I finished my first year I knew that I would want the terminal degree in the field of acupuncture and Chinese medicine and to learn as much as I could within an academic setting, especially to learn more about research. CG - Yes, I did plan from the very beginning to go directly into the doctoral program from the master’s program. In some ways I considered the two together to be one full five-year program. Of course I still had to make sure that I was accepted into the doctoral program. I made it a point to talk about my interest in the doctoral program with the admissions department and the dean of the doctoral program. One of the reasons I chose to come to OCOM for my master’s degree was that they had a strong doctoral program as well. I knew that if I was going to devote myself to this profession, then I wanted to get as much training and education as I could. AV - No, I did not. I actually don't think I knew there was a doctoral program when I first started school at OCOM. Why did you decide to go directly through both programs and what was the advantage of doing so? CY - I was already in student mode, and I knew that for me it would be hard to go back to school once I was out of that academic mode. I had also gone into the master’s program straight from undergrad, so I did not have a break. So, yes, I did kindergarten through doctoral — 22 years of school in one go! — and that is not the path that many people take. However, the biggest influence for my decision was speaking to current students and those who have gone through the DAOM program to make sure it was right for me. CG - Well, like I mentioned, I tried to think of both programs together as one five-year training rather than two separate and unrelated degrees. I think there are benefits and drawbacks to either entering the doctoral program directly or waiting until one has more professional experience. I’m interested in working in hospitals and academic medical centers, and these types of positions often look for applicants with doctoral degrees. One of the advantages of going straight through both programs is that when you finally finish you are in a better position when applying for jobs, or if starting your own private practice, in marketing yourself as one of the few doctors of acupuncture and Chinese medicine in the country. AV - One of my teachers told me I should apply for the doctoral program during my intern year. My parents also urged me to apply. I preferred going through the DAOM right after the master's program because a lot of information was still fresh in my mind. 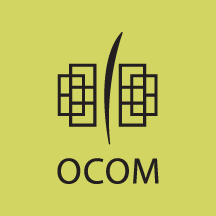 Why did you choose OCOM? CY - I chose OCOM due to its reputation as the preeminent institution within the U.S. to pursue a degree in acupuncture and Chinese medicine. OCOM’s recognized research department was a huge draw for me since research is one of the key languages used in communicating about Chinese medicine’s role in integrative medicine. I also grew up in Portland, and it is the perfect environment to learn and cultivate this medicine due to the natural beauty and scenery of the region. CG - I chose OCOM for a variety of reasons. I knew that it was one of the most highly regarded Chinese medical schools in the country. I also liked that they had a strong herbal, biomedicine, and research emphasis. As I mentioned before, I knew I wanted to go right into the doctoral program and the fact that OCOM has a great program also influenced my decision. AV - My cousin is an OCOM graduate. He told me it would change the way I thought about things, and he was correct. What are the key differences in the two programs (master's and doctoral)? CY - The doctoral program is much more self-paced and directed compared to the rigorously structured master’s program. Since you are not in class everyday with a set schedule, it is important to have self discipline and time allotted for schoolwork.The master’s program is more homogenized, with everyone in a class learning new concepts at the same time. In contrast, the doctoral program is a mix of practitioners with different levels of experience with contrasting ideas and styles of practice. You also maintain an active practice while being in school for the doctoral program. For me, balancing the doctoral assignments while navigating the complexities of owning your own practice, building a clientele, and managing the business side of things was the hardest challenge. CG - The master’s program is all about learning a new profession, and really a new way to look at the world, the body, and health. It’s very much like learning a new language, sometimes literally! It’s a very intense program and it needs to be. Graduates of the master’s program become medical professionals responsible for caring for others’ health and well-being. As a master’s student, most things you are learning are totally new and there are a lot of tests and exams to make sure you are competent and prepared to become a practitioner. In the doctoral program, you and your classmates are already licensed professionals. The focus shifts from teaching you the medicine to deepening your knowledge and developing new skills. There are no more tests and quizzes in the way you are used to in the master’s program. The bulk of the work you do in the doctoral program comes as various writing assignments and presentations. There is much more emphasis on academic writing through case studies, case analysis, peer-presentations, research literature reviews, etc. The program prepares you to follow several possible career tracks from advanced clinician to researcher to teacher/faculty member or any combination of these. AV – The master's program lays out the foundation of acupuncture and herbs. The doctoral program builds on it as well as give you a feel of the profession as a whole. There is a greater emphasis in writing case studies and research in the doctoral program. How do you feel that both programs have prepared you to be the best practitioner you can be? CY – OCOM’s master’s program definitely provides a solid foundation for anyone that wants to seek a career path in acupuncture and Chinese medicine. Even though the DAOM program goes over more advanced topics, I felt that the master’s program had exposed us to such a broad spectrum of ideas and topics that I did not feel like I was starting from scratch. The doctoral program helped me learn to deeply access information to help me in practice regardless if it's for clinical practice or research. I also feel like I have a broader network of colleagues that have exposed me to new ways of thinking and styles of treatment and makes me a more well rounded and open minded practitioner. It can also help you narrow down what you gravitate toward and focus on a specialization. CG – I learned so much during my time in the doctoral program, both from my teachers and from my classmates. I feel like not only my clinical skills improved but my abilities as a writer, public speaker, and academic developed greatly as well. The advanced training we received in modern biomedical approaches helped me to develop my interest in integrative medicine. Since I also hope to eventually work in an academic medical center, all of the coursework on research, writing, professional development, Chinese and Western medicine have helped me greatly advance along that path. AV – The master's program prepared me to be a practitioner. The doctoral program motivated me to strive to be a better and more efficient practitioner as well as becoming more involved with the profession. Is there any advice you'd offer to someone thinking of taking this path? CY – Time management skills and being able to juggle class, assignments, building and running a practice and fitting in personal time are essential. It is not easy to do all in one go, but if you have the support system to do so and you want to go into research and get published, then this is a great way to get that accomplished within five years. CG – I think choosing to pursue a doctoral degree is highly personal. There are many reasons why one might want to take this path. A lot will be determined by your career goals. The doctoral degree is not required to enter the profession and have a successful career. If you want to work in a hospital, as part of a team with other doctors, or in an academic institution, I believe the DAOM will definitely help. Even if you simply want to learn all you can about this medicine and receive the most education and training you can get, it is worth it! What also makes it worthwhile are the relationships you develop with your classmates. These people are your colleagues, peers, friends, and teachers. I learned so much from my classmates and developed lifelong friendships. In the end, you will get out of the program as much as you put into it. AV – I think it is best to go straight through both programs. In the future, a doctorate in acupuncture will likely be the standard. The best way to get through the doctoral program is to socialize with your classmates after class. You are in class from 8:00 AM to 6:00 PM each day. I would not have made it through the DAOM without socializing with people after class. You will have people from all over the country flying in for DAOM and it is an opportune time to learn more about them. CY – The people you meet along your journey and the bonds you make with your classmates in becoming a Chinese medicine practitioner will be everlasting and you can learn a lot from your peers. CG – Since the doctoral degree is purely optional and it comes with additional costs and years of schooling, you should have a very clear idea of why you want to pursue it. Having a clear and strong motivation will help you meet any challenges and get the most out of the program. If you can do that then all the years of training, all the classes, all the work, is totally worth it. OCOM’s Director of Admissions, Anna Grace, recently spoke with incoming master’s student, Tameka Lim-Velasco, about her experiences navigating the Federal Financial Aid process. OCOM: When did you apply for Federal Financial Aid (FFA) in 2016? Tameka Lim-Velasco: April or May, as I was waiting for my husband’s green card. If you could have applied a year earlier, would you have? What benefits do you see this year for students being able to apply October 1? FFA would be done and out of the way. One would have extra time to figure out other forms of financial support such as scholarships. Did you use our website as a resource? Yes, ocom.edu was very user-friendly. There are clear links and information that explain all available options. In fact, I found a link that took me right to the FAFSA (Free Application for Federal Student Aid)[link to https://fafsa.ed.gov/] website. Very helpful! How helpful was the Admissions Seminar you attended? Hearing the information in-person at the Admissions Seminar was most helpful! Judy (Gjesdal, Director of Financial Aid) talked about FAFSA and pretty much gave me all the information I needed. Was the FAFSA difficult to complete? FAFSA is very easy to do. The requirements are simple, not complicated! Did you know you could be accepted to the college before doing the FAFSA? Yes. You don’t have to wait to begin your application for admission. How quickly did you receive responses when asking questions to the Financial Aid or Admissions departments? Very fast! Judy always e-mailed me within a day. Tell me about your overall experience with OCOM’s Financial Aid department? Really flexible! They did a great job in letting us know we have options. Judy is excellent at making the process less scary. Learn more about starting your OCOM education by contacting our Admissions team. In late August, Kathy Bragg of the Bragg Health Foundation visited OCOM to meet and personally congratulate the five 2016-2017 Bragg Health Science Scholarship award recipients. 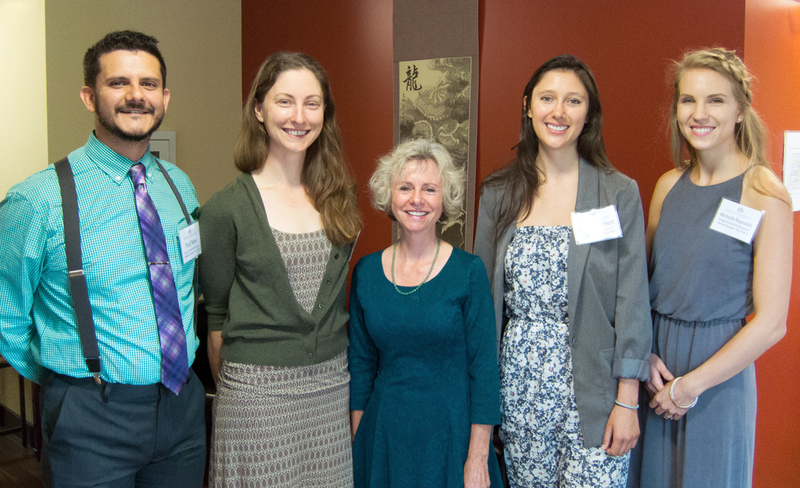 The selected master’s (MAcOM) students were awarded this scholarship for their inspiring essays on how they will integrate the study of nutrition and its impacts on human wellness into their practices as health providers. Congratulations to the 2016-2017 Bragg Health Science Scholarship Recipients: Liz Marr, Paul New, Michelle Reynolds, Samantha Stevens, and Devan Torbert. This generous scholarship gift from the Bragg Health Foundation was made in honor of Paul C. Bragg, and it represents the first gift of its type the Foundation has offered to an acupuncture college. The mission of the Bragg Foundation is to inspire and educate people of all ages throughout the world to adopt a healthy lifestyle through optimal nutrition, exercise, positive attitudes, and spiritual wellness. Learn more about the Bragg Health Foundation and their important health, wellness, and nutrition outreach programs. To learn more about the scholarships OCOM offers, visit ocom.edu/scholarships. Through December, OCOM's Weekend Specialty Clinics will focus on the personalized treatment of women's health issues. Weekend Specialty Clinics focus on treating individuals with complex, chronic conditions. At these special appointments, you are seen by a group of licensed acupuncturists receiving their doctoral training, who draw upon their collective experience in Chinese medicine to address particularly complex cases. You are then treated by a doctoral graduate practitioner using acupuncture and herbs. Weekend Specialty Clinic visits cost $25-35, lasting approximately 90 minutes. Schedule your appointment at our downtown OCOM Clinic today: 503-445-0951. 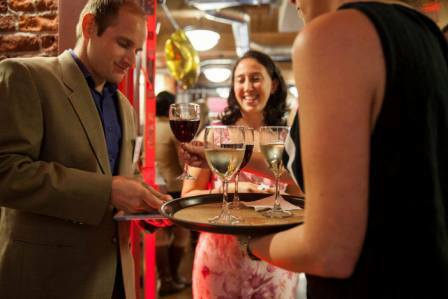 On April 16, more than 170 supporters filled Oregon College of Oriental Medicine’s KPC Community Room for the college’s annual Cherry Blossom Gala. The event raised $102,237 to promote OCOM’s top-ranked academic programs and to expand access to integrative health care. As the evening began, the community came together to honor the longstanding service of Peter Martin, MAcOM, LAc, LMT, who recently concluded a 22-year term on OCOM’s Board of Trustees. Martin led OCOM as its fourth Board Chair during a period of remarkable growth and change; while remaining one of the college’s most active alumni; owning a successful practice, Balance Medicine; and volunteering for many local, state, and national acupuncture groups and causes. Board President, Karen Williams, JD, presented Martin with a proclamation commemorating his service. Delivering an inspirational appeal, OCOM’s Interim President, Deborah Howe, PhD, FAICP, highlighted the college’s accomplishments as a leader in the field of Chinese medicine, such as being the first school to produce clinical doctoral graduates in AOM (acupuncture and Oriental medicine), and the first complementary and alternative medicine school to receive a National Institutes of Health grant. President Howe also spoke passionately about the field of Chinese medicine, the commitment and drive that brings students to prepare for practice in the field of acupuncture, the transformative patient outcomes she has witnessed, and the important work OCOM’s graduates are doing throughout the U.S. and the world. The highlight of the night was a surprise announcement from trustee Brad Malsin, who stood to pledge a generous gift of $30,000 to be made to OCOM’s Annual Fund. Malsin has served on OCOM’s Board of Trustees since 2013 and his leadership has been instrumental to the success of the school, particularly the college’s relocation to its current campus in Old Town Chinatown. He and his wife, Liz Malsin, enthusiastically expressed their ongoing commitment to OCOM’s students. In attendance were OCOM’s esteemed founders, Satya Ambrose, ND, LAc and Eric Stevens, DAOM, LAc, along with several of the college’s renowned faculty leaders, staff, alumni, students, and community supporters. The evening’s program was led by Chief Development Officer, Dave Eshbaugh, and auctioneer, Heidi Hill, who encouraged unpredicted levels of giving. OCOM’s trustees, Lea Anne Doolittle, MBA; Charles Elder, MD, MPH, FACP; Michell Hay; Gene Hong, MD; Terry Hunt, PhD; Brad Malsin, MD; Juliet Moran; Karen Williams, JD; and Leah Yamaguchi, LAC, celebrate the success of the gala and thank all who contributed. The site visit team will be present on the OCOM campus for these three days. The team will be chaired by Dr Patricia Casello-Maddox (Associate Provost, Northwest Health Sciences University, Bloomington, MN). The other site team members will be Ms Dollie Llanso (Asheville, NC), Dr Yun Kim (Santa Monica, CA) and Dr Daniel Hsu (New York, NY). River Map Radio is a project created by OCOM Student Media addressing a variety of topics under the umbrella of Chinese medicine, from pragmatic clinical topics all the way to esoteric theoretical constructs. Hosted by Travis Cunningham and produced by Travis Kern, this series features the broad talents and diverse expertise of the OCOM community. Whether you desire to know more about how Chinese herbal medicine formulas are prescribed or whether you want to know what it is really like to study Chinese medicine, there is something here for you. Designed to highlight the intellectual variety of the Chinese medicine field and reflect the student experience at OCOM, River Map Radio is the only podcast of its kind told from the student perspective. With three episodes available to date, fellow AOM students, faculty, and patients of acupuncture and Chinese medicine are invited to look deeper into this growing field of medicine. Learn more about the #1 acupuncture school in Oregon and the U.S. and how the practice of Chinese medicine is moving the needle on health care and health promotion. These podcast episodes are available for free download through Stitcher and iTunes. Listen to the inaugural episode of River Map radio, "Chinese Medicine: Then and Now."